Are you looking for ways to work from the comfort of your home and make some good money? Well, most of us have shifted to freelancing work opportunities for making money. It’s more convenient and stress-free! Latest technology and faster penetration of the web has made freelancing easier. Young generation and ladies who stay at home look for micro jobs online to be able to earn extra income for the family. Earlier micro jobs were hosted by a limited number of domains, but it has become extremely popular nowadays. More and more youngsters like to be their own boss and prefer to work from their sofas instead of doing regular office jobs. Micro jobs are small jobs or let’s say small tasks. The contract terminates as soon as the task is completed and you earn an amount for the same. Doing micro jobs online gives you a sense of freedom. You can take as many tasks as you want and the ones which suit you well. There is no long-term commitment and you are free to apply for more micro jobs online once you complete your task. If you like managing your life activities with working part-time or as a freelancer, doing micro jobs is the best option for you. Micro jobs have become the main source of income for many freelancers and online earners. It’s like working with your regular skills and knowledge in your free time or whenever you want. Whether it’s writing, watching a simple video, searching on google, making your own Youtube clips or anything else, you can opt to get paid for it. No special skill is required to earn money from such jobs. All you need is a computer system, a smartphone probably and there you’re ready to gross! Also read: How can you earn by Watching Videos? You can make huge-chunks online by being a little disciplined and sincere while completing your work tasks. Micro Jobs are the most ideal way to earn money passively in the longer-run! But is it as easy as it seems to be? You bet not. After all, nothing is a cakewalk. Money doesn’t simply rain out of these micro job sites. You have to be extra dedicated, hard-working and efficient with your work. The more you complete your tasks in your hand, more you earn. Moreover, many of micro job sites pay a small amount for every task. You need to perform tasks for various sites altogether to get a lump-sum amount for yourself. Just find a job that matches with your skill set and get started with the same. Now the question is how you would know which sites would be perfect and safe to start with. There are thousands of schemes and scams running online in which you end up losing a lot of bucks instead of earning. This is why, one need to be extra cautious while mentioning their bank account details on these sites for funds transfer. In this article, we’ll provide you with a list of trusted sites to make money online. These micro job platforms help people all across the world to make money by working from their home or other comfort zones. So, let’s go through the list of such sites. This website is available in various languages including English, German and Polish. You can register on this site for free and apply for best online jobs like text creation, online research, data tagging, data editing and data categorization. This website has over 300,000 registered users who are taking micro tasks and getting paid. Payment is usually made through bank transfers or via PayPal. They pay in Euros or US dollars. If you’re skilled for part-time micro jobs on data entry work, translation work and writing articles, this is what you should go for. It’s secure, reliable and useful for earning money from your home. Definitely one of the best micro jobs website out there! It is popularly known as MTurk and is owned by Amazon. They usually offer painless micro jobs online like conducting online surveys, commenting on blogs, putting captions under images, transcription work, editing and writing work, keyword search related work etc. MTurk makes sure to pay you according to your currency needs. For instance, if you’re a US citizen, you’ll be paid in UD dollars. If you’re an Indian, you’ll be paid in Indian rupees. You can even choose to get your payment through Amazon gift cards. Send these gift cards to your loves ones so that they can shop for something they have been wanting to. 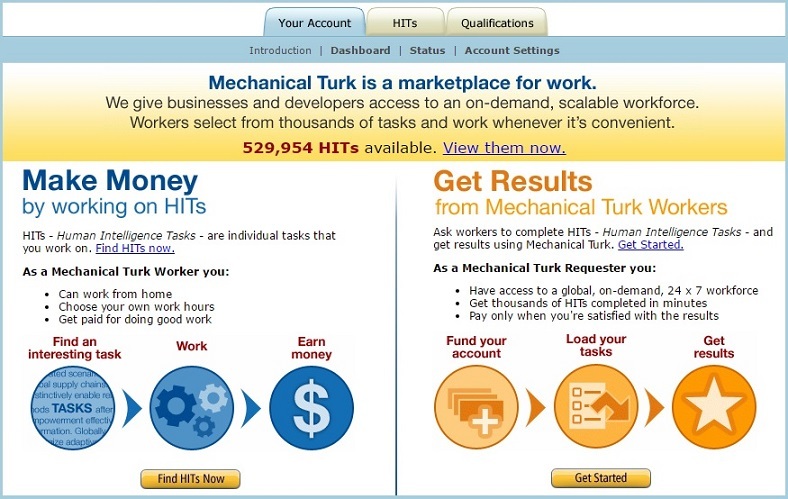 On this website, the micro jobs mentioned online are called HITs (Human Intelligence Tasks). You can browse the list of HITs available on the website and choose the one that matches with your skill set. Also, you’ll get to see the time frame given to you for completing one task and the price offered for the same. This is an awesome platform where you can sell your services at a price of your choice. It works on the principle of keeping a commission percentage of every service sold via their website. The percentage is usually 20% on every gig. You can choose your gig from a list of options provided on the SEOClerks marketplace. These options include article writing, article proof-reading, blog commenting, link building, logo designing, social media and other important gigs which can uplift the business of any online entrepreneur. One of the best online jobs to work from home, indeed. Start with registering yourself on this website and offer your services at a price you want to quote. Once your services are sold and clients like your services, you’ll be rated on the basis of that. You ratings will further add to your visibility quotient on this platform. 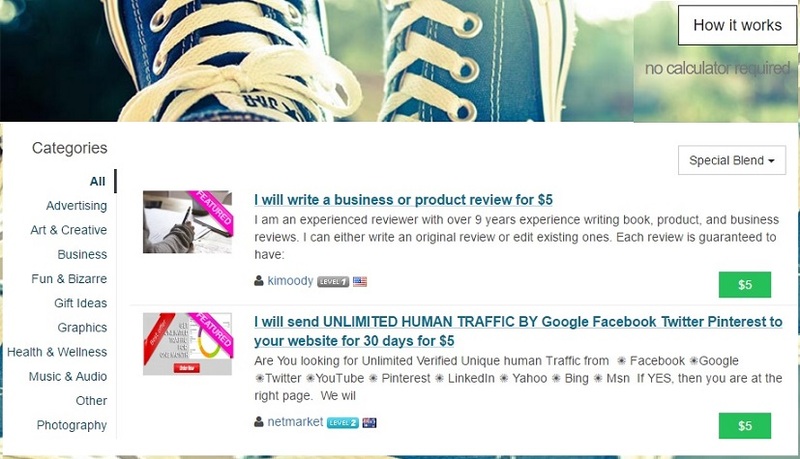 The better you’re rated, the more you’re visible to the companies and marketers looking to hire freelancers through this site. The sole mission of this website is to help people in making money online providing the services of their interest. This is the most exciting tool to make money while walking around the town. Okay then, let’s find out how. 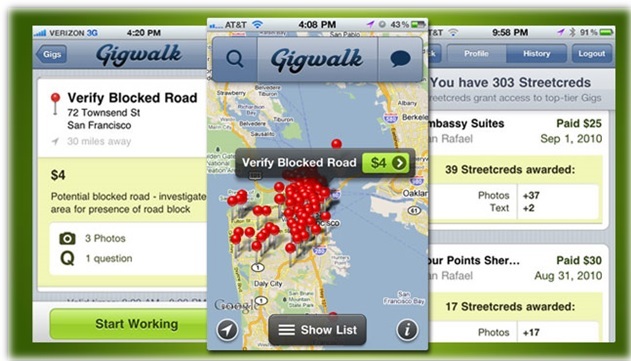 Gigwalk is basically a crowd-sourced platform that helps both businesses and consumers. It helps the companies in finding out how they’re performing and pays the users for completing their online tasks. All you need to do is to register yourself on this innovative mobile app. Once you become a gigwalker, You’ll find a map full of micro-tasks around your immediate neighborhood. These tasks or micro jobs online include things simple like taking pictures of a menu, taking pictures of a roadblock, mentioning hours of operation of a restaurant or office near your area, writing a review of something, answering quick questions etc. Once you complete such small and best online jobs, gigwalk reviews your work and deposits money in your PayPal account on the basis of the work done by you. There are some more types of gigs that you may choose to work on, if available in the option-list like sharing audio recording of noisy or quiet places, sending videos of the interiors of restaurants, bars and colleges. And the best part is any company or individual can post a gig on this platform for gigwalkers to complete and set a price for the same. This is becoming the next big things as many organizations and business need constantly updated information regarding restaurants (for food), roads (for traffic details), and more. As one completes more and more gigs, ‘street cred’ title is given to that individual for completing more lucrative micro jobs on this platform. Gig rates usually range in between $3-$90 for the biggest gigs. Gigwalk is spreading its presence across various parts of the globe, but for now it is more operational at more densely populated places. It is more popular in markets of US, Europe, China and it’s building its presence in the Indian subcontinent. Targeted to people who love doing micro jobs to make money, this website is meant for professionals who can earn good money by offering their services to companies and individuals. This website was earlier named as freelancer switch by the ‘envato’ network, but the company changed its name as microlancer seemed more eye-catchy and easy to remember. Professionals from various firms prefer using this site to hire people based on their skills as the process is easy, efficient and quite safe. Individuals who provide their services online are given ratings based on their work and therefore it becomes easy for companies to hire them on the basis of their skillset. Undeniably, this is one of the best portals for finding all kinds of micro jobs online. Services posted on this site are called ‘Gigs’. You can buy and sell any gig for $5. When you sell a gig, you get $4 and $1 is given to the website as commission. This is the best place for marketers and professionals to buy gigs at a nominal price. From writing, logo designing, advertising, link building, animation services, social media related work, blog commenting, SEO wok, business card designing, copy-writing, photoshop work and many more things, you can find it all under this one platform. You can offer your best jobs online on this medium. Simply make your profile and offer your services to start making money online. Once you’re featured as a top-seller on this site, your Fiverr account balance mushrooms like anything! BAM! However, getting a top-seller rating on this site requires a lot of hard-work, patience, dedication and consistency. There are three rating levels. You are given a rating of first level seller when you newly join this site. If clients like your work and give you a good rating, you soon become a second-level seller. Once you top the list of second-seller services, Fiverr gives you a rating of top-seller and there you go! Once you achieve a good rating level, you start getting more and more work opportunities to make money. Payments are made through PayPal after a task is appropriately completed. Okay, this is a great platform for both small and big part-time job opportunities! Yes, you can apply yourself for an online job from the list of requirements posted on this site. Jobs on this platform include micro jobs like writing, proof-reading, editing and also jobs which require some extra skillset like computer programming, software development, web development and such things. Micro payments are made for micro jobs posted on this site and the amount for jobs that require extra skillset is obviously bigger in comparison to that of micro jobs online. oDesk is loved by a large number of freelancers for its online marketplace with extended freelancing opportunities. It’s a perfect marketplace to sell your skills to the companies and marketers out there at a price that suits you from the range mentioned there. The range varies between $5-$50 bucks for each service that is offered online. Apart from other micro jobs, you can also provide internet marketing services on this one site. They also have broad categories to choose from. You can select from options like advertising, music, graphics, technology, programming, backlink building etc. This is an extremely popular platform among the freelancers as well as the companies as the frequency of making payments and hiring individuals is quite good. There you have it- a list of sites to choose from for taking up some useful micro jobs online. You can even select multiple work opportunities from these sites having best online jobs and earn a good amount for yourself without struggling with monotonous office jobs. But as mentioned above, earning nicely and regularly requires some sort of forbearance and guileless efforts. You need to be efficient and genuine with your work and money will come your way while being at home or anywhere outside with your system. Let us know if the information mentioned above was useful for you. 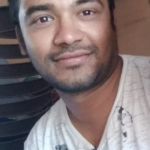 You can post your reviews and suggestions on easy and best online jobs to execute from home in the comments section below.